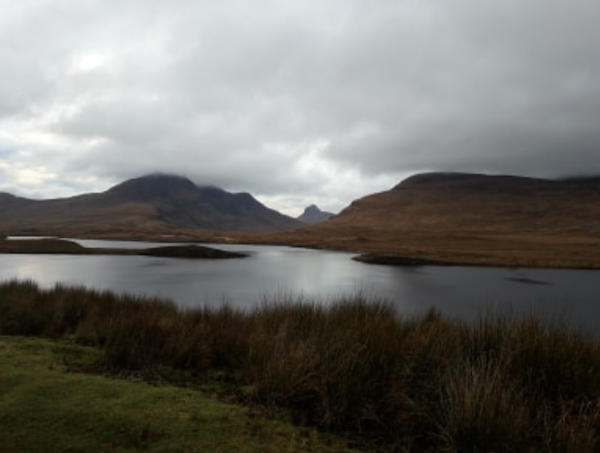 Our outreach sessions carry us far and wide around the highlands; which recently included a two-day excursion around the north coast. We aim to reach as many schools and classes as we can to share our love for wildlife. The north coast is an exceptionally beautiful and remote landscape; giving rise to small, personable primary school sizes. Durness primary, for example, was a single class of eleven with one teacher. We visited three different primary schools, ran five hour-long sessions, and covered all five of our outreach topics many times. Many of our sessions were being tested for the first time after weeks, if not months, of preparation. Our quick-fire approach was designed to keep them engaged whilst introducing some of the current conservation ideas, such as; rewilding of beavers and potentially lynx, food sourcing, and plastics. They are based around some of the fantastic environmental themes of the Scottish curriculum for excellence. We were greeted by many faces brimming with excited anticipation as we waddled over, wrapped from head to toe. The children, of course, were far more weather resistant than me for they are accustomed to the chilling winter winds; the fact that the day was bitterly cold didn’t deter them in the slightest. Their seemingly endless bounds of enthusiasm, and curiosity, are some of the reasons I love working with kids. It was my first chance to lead an outreach session and I was eager to impress. The education team made teaching look so natural, but I knew it was far from it. 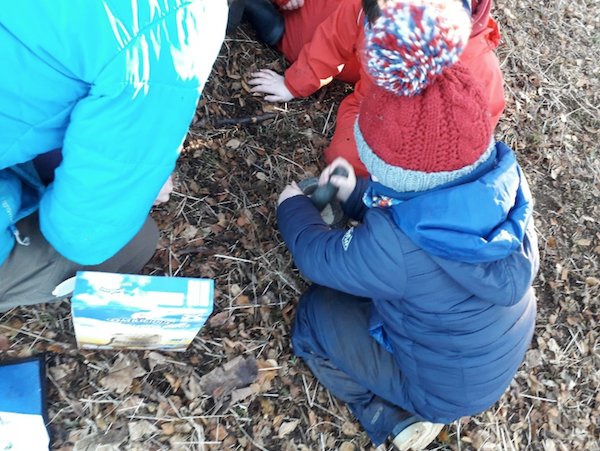 Luckily my first class was fantastic and quickly got stuck in with the activities; after all, what child wouldn’t want to build a beaver lodge out of handfuls of sticks and mud? The trip continued with grinding oatmeal, making plastic alternatives out of algae, interactive quizzes, a highly competitive energy cycle and some speedy predator prey games. Kinlochbervie class learning about decomposers. The sessions get children outside and interacting with their surrounding environment. Being in such stunning settings, it’s no surprise that kids can become so easily distracted. 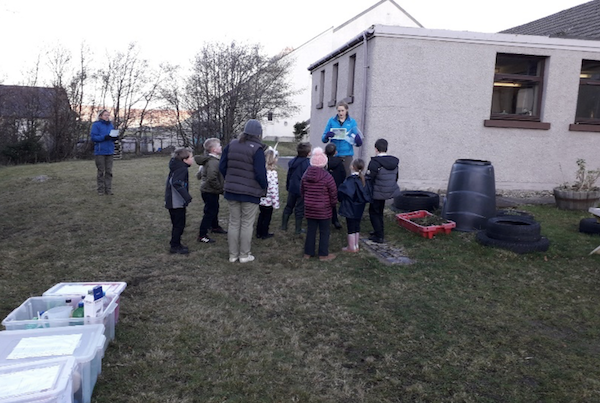 Scourie primary were lucky enough to have exclusive use of a local landowner’s beautiful patch of woodland. These low, twisted deciduous trees were probably the children’s only local exposure to woodland and made a fantastic, sheltered habitat to explore. They were privileged enough to be able to carry out normal weekly school lessons there. We made great use of these natural markers during our activities. Building beaver lodges at my first session. 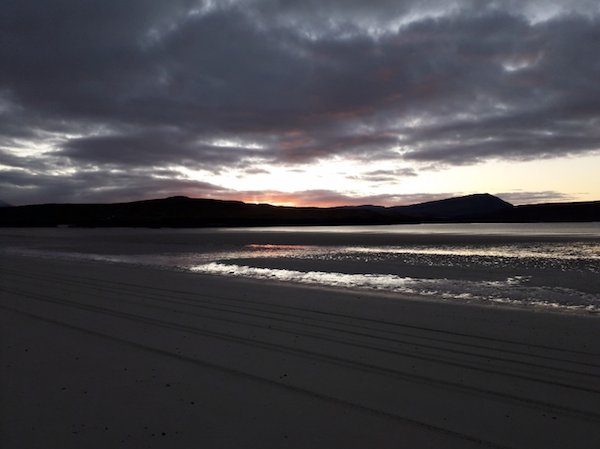 Our days were also filled with spectacular scenery, topped with the rising and falling of the sun into a lush, rosy glow, and, as with everywhere in Scotland, fantastic wildlife. As we rolled out of the vehicle at the first school, we were greeted by a Eurasian Sparrowhawk blitzing past after an unlucky, and rather vocal, Starling. Many European Stonechats surveyed us from their lofty perches as we passed them by, clacking aloud. In the evening, the rolling dunes of Durness presented us with a large flock of Twite flicking playfully between tufts of Marram Grass. It’s amazing how much some of the children already knew, but the most rewarding part was being able to shape the new cache of knowledge and experiences that the groups walked away with. Working with the education team is my chance to fuel their fascination and respect for the environment, although I have much still to improve upon in my teaching techniques. Many still remembered Naturedays’ visit the previous year, and I hope that the children will take forward our lessons for years to come. to the Knockan Crag trail to look at the local geological history. The nursery selected three topics out of a possible five. These included a wide variety of activities, all aiming to educate the kids while getting them active and interested in the outdoors. Our three topics of the day were Extinctions, Decomposers, and Animal Engineers. The main Extinctions-themed activity involved playing a modified game of ‘What’s the Time, Mister Wolf?’, with the children acting as various extinct predator and prey species. 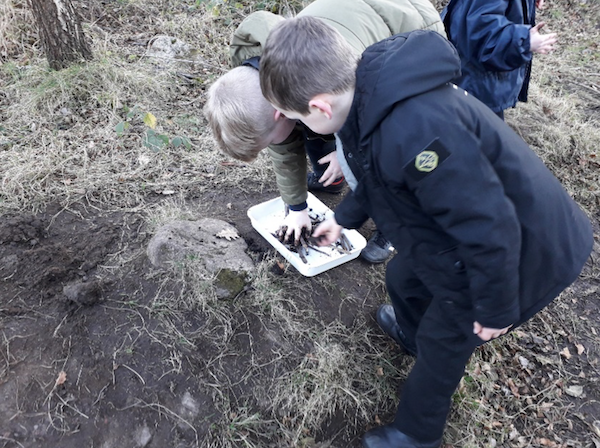 Decomposers’ required the children to run around gathering ‘survival tokens,’ teaching them about all the different factors a decomposer would need to survive and thrive. Finally, with Animal Engineers, we had the kids building a beaver-style dam out of sticks and mud to learn about how certain species can radically alter their local habitats. Each of these main activities were supplemented by true or false games, matching games, and fascinating facts, so that we could thoroughly cover each topic and make sure the kids went away having learned something concrete. It’s during these moments, when a small army of children are completely enraptured by your description what an earthworm eats, that make you appreciate how worthwhile all those long hours of planning in the office were!